Welcome to the world of Loxwood Joust! Two Weekends of Mediaeval Mayhem. 3, 4, 10 & 11 August 2019. 10am-6pm daily. Save money with Advanced Tickets (weekend 1 available until midday 2nd August, weekend 2 available until midday 9th August). Adult £13, Child (4-14) £7. Gate prices £16 and £8. The hazy sun lays shadows lithe and long across a midsummer meadow. You are invited to dine in style at this years Loxwood Joust for a medieval feast in the Grand Banqueting Marquee. You’ll be shown to your seats for an authentic banquet, prepared by award-winning chefs from Garlic Wood Events. Between courses, you’ll be entertained by court jesters, live music and riddlers – so start practising your banter! We have a wide range of experiences and workshops taking place at the festival, including: Blacksmith Workshops, Chainmail Workshops, Copper Bowl Making and Knight School. Got a question about medieval life? Wouldn’t it be nice to skip the textbooks and just ask someone from the 15th century? Throughout Loxwood Meadow, you’ll be able to do just that at our Learning Posts. Take a look at our Instagram feed to see Loxwood Joust in all its glory! 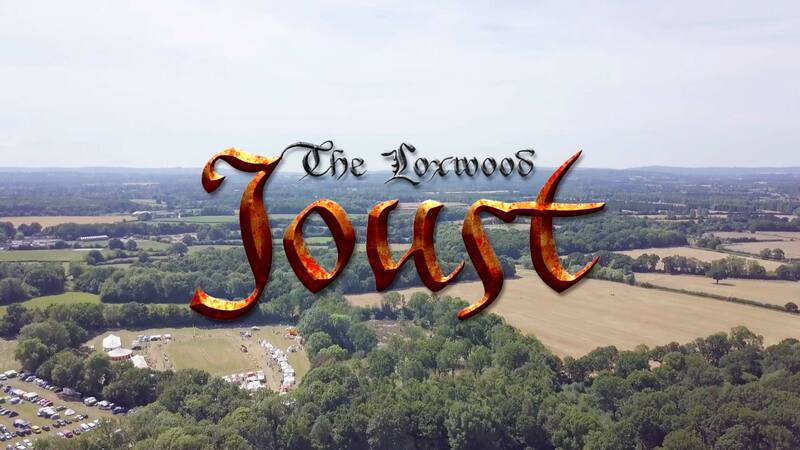 The Loxwood Joust takes place in the heart of the West Sussex countryside. Would you like a truly ancient and nature based ceremony? We are pleased to offer everything from Medieval Handfasting to full bespoke weddings taking place in the Faerie Woodland at Loxwood Joust. Feast your eyes on BATTLES and MERRIMENT with coverage of previous year’s events.